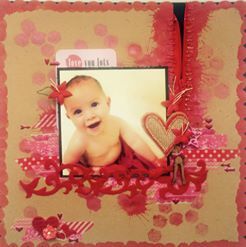 Started with the scallop square in Kraft and mounted it on black cardstock. Spritzed the Kasiercraft 'Hexagon' template with Tim Holtz Distress in 'Abandoned Coral', Heidi Swapp 'Pink' and Lindys Stamp Gang 'Hottie Patottie Hot Pink' - splat some Tim Holtz Distress Stain in 'Barn Door' - dry! Adhere random strips of Washi Tapes - assorted brands inc Kaisercraft. 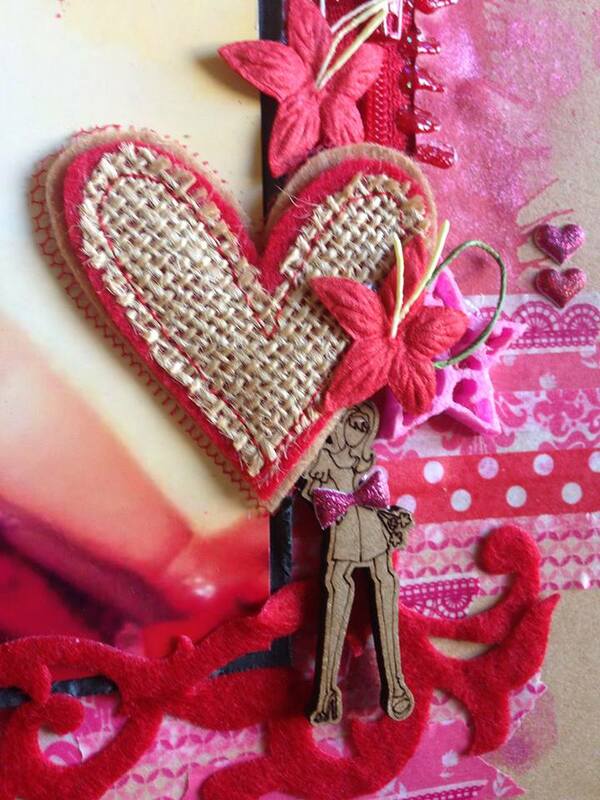 A Charms Creations Red and Hessian heart - love these! !